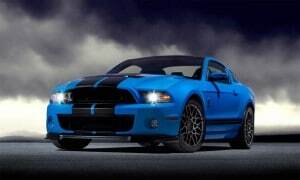 2013 Ford Shelby GT500 - AutoNetTV Media, Inc. If you're a Mustang fan, you're gonna love the 650 horsepower in this pony car. The 2013 Ford Shelby GT500 will also be the first stock muscle car to break 200 mph. Check it out.